MCX Gold Option - How it works? Home » Gold » MCX Gold Option – How it works? MCX Gold Option – How it works? MCX Gold Option is a new financial instrument. It will act as a hedge against fluctuation of gold prices. So, if you are interested in doing hedging of gold this instrument is for you. Multi Commodity Exchange of India (MCX) has recently launched this instrument. In this post, we will try to understand MCX Gold Option. We will also take a look at options contracts and futures contracts. What is Gold Option – How it works? Gold Options Contracts is an agreement which gives the buyer the right but not the obligation to buy or sell an underlying at a certain price on or before a certain date. Under this case, only seller is obligated to honor the contract on expiration. Upfront fixed premium is required under this case from the buyer. Buyer has a limited risk in this case. Options are available in two types, call and put. Call options is for buying the underlying asset at a specific price for a certain period of time. If the gold price fails to meet the specific price before the expiry date, the options expire automatically. One can buy a call if he/she think that price of gold will rise. Similarly, sell is also possible in case he/she think that price of gold will fall. Also Read – Gold Jewellery on EMI – Is it a good option? Put options give rights to a holder for selling an underlying asset at a specific price (strike price). Put option can be tried any time before the expiry of the option. Investor buy puts if he/she think that price of gold will fall. They sell it when they feel the price will rise. Let’s try to understand this by example. Suppose gold future contract of gold is costing Rs.28 Lakh a kilo (1 contract) option on this contract is available at Rs.28000. Suppose you feel that price of gold will increase, in that case, you will buy the option by paying Rs.28000. If the contract value increases to Rs.30 lakh, option rise to Rs.30000. You can square off your position and take off the profit of Rs.2000. On the other hand, If the price falls you lose your money and call seller make money. If you think that price of gold will fall. You will sell gold option at Rs.28000 and gold price fall to Rs.27000, you will make a profit of Rs.1000 which put seller have to pay. If price increases the put seller get profit. What is Gold Futures Contracts? Gold Futures Contracts is an agreement to buy or sell an underlying on a certain date and at a certain price, in the future. Under this case, buyer and seller are both obligated to honor the contract upon expiry. No advance payment is required. Risk under this case lies with both buyer and seller. What is the benefit of Options? New asset class for investment allowing options for heading and diversification. 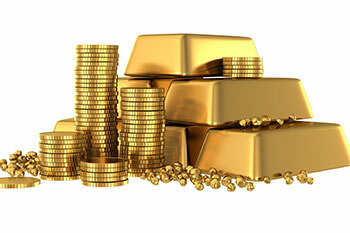 Gold Options is like an insurance which will help you to insure yourself against loss. It also gives an opportunity to make money for the smart investor. It gives flexibility you can square off position before expiry anytime. It also offers higher liquidity compare to traditional investment options of gold. Should you use MCX Gold Options? The desire for gold is not for gold. It is for the means of freedom and benefit. Gold Options gives that. However, I would advise staying away with a gold option until the time you develop skill and expertise in dealing with gold futures and options. « How to do Fundamental Analysis of Stock?